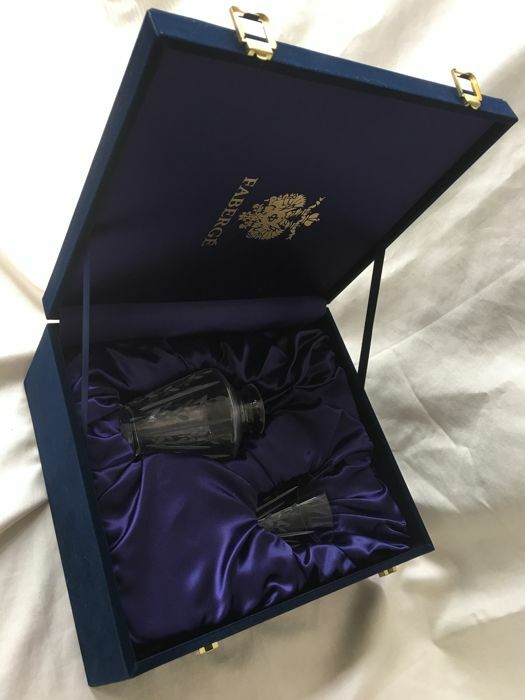 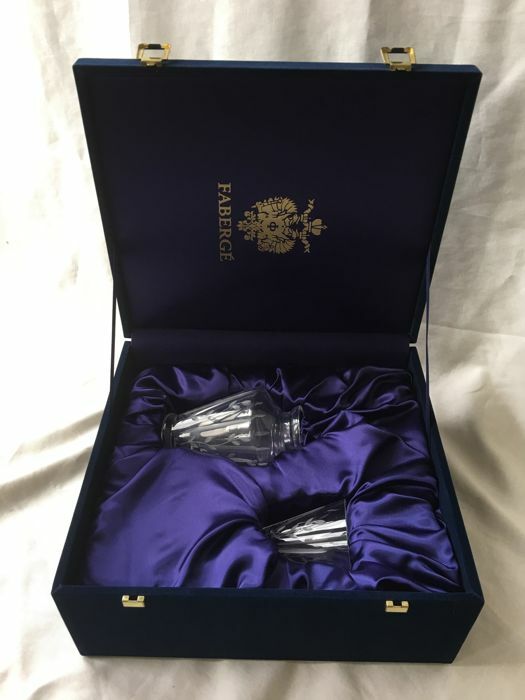 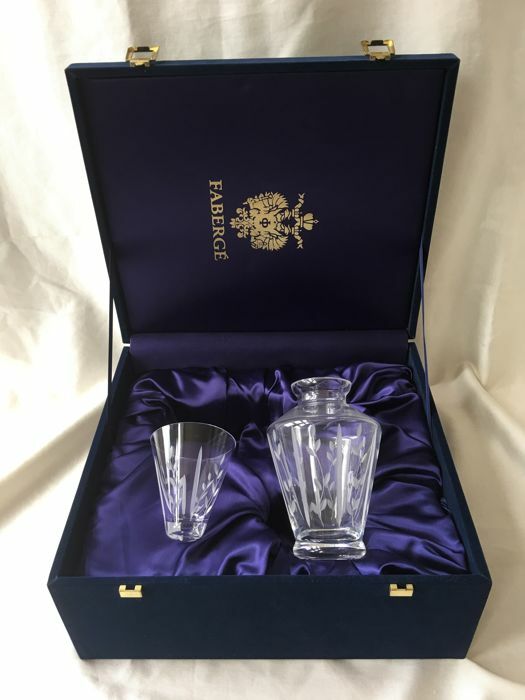 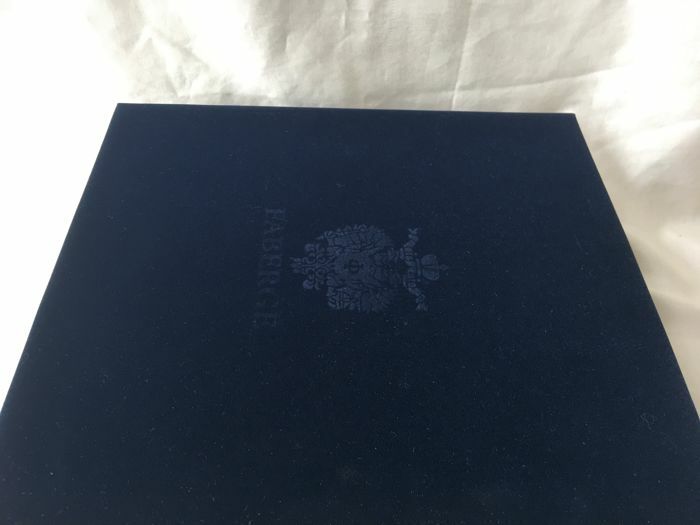 Faberge Imperial - Luxury handcut Anatole pattern Eau De Nuit Bedside crystal Carafe Set in Faberge navy velvet presentation box, rare. 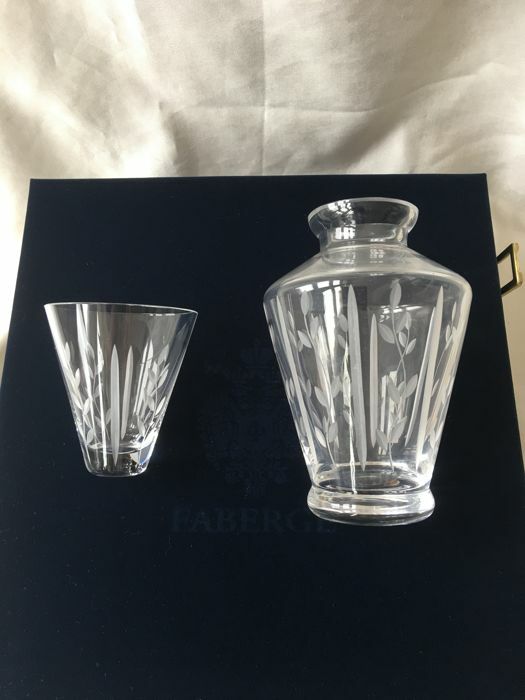 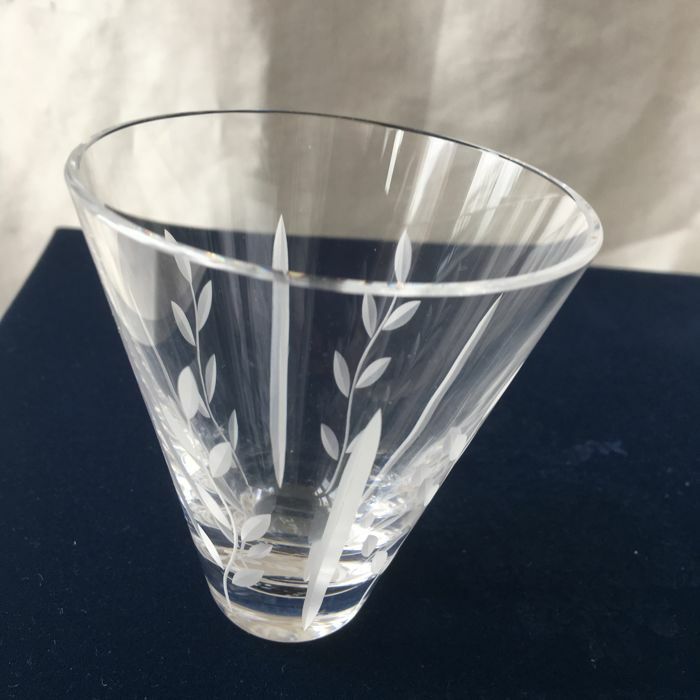 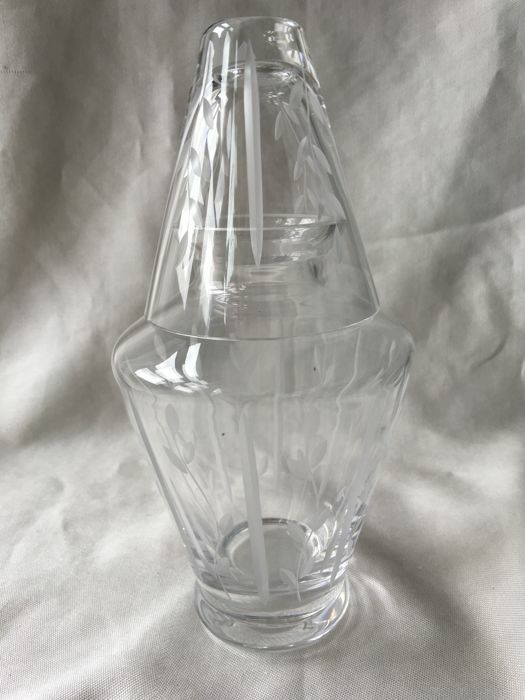 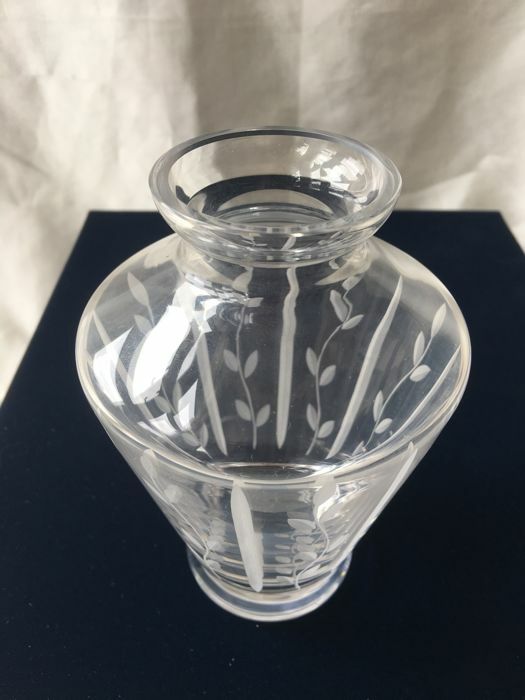 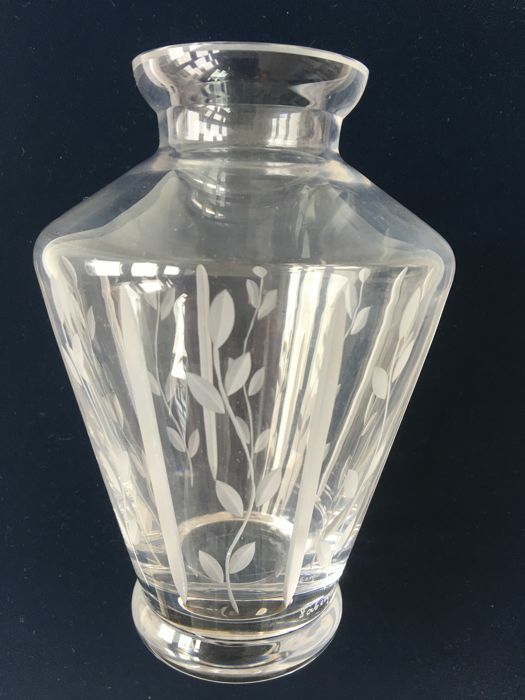 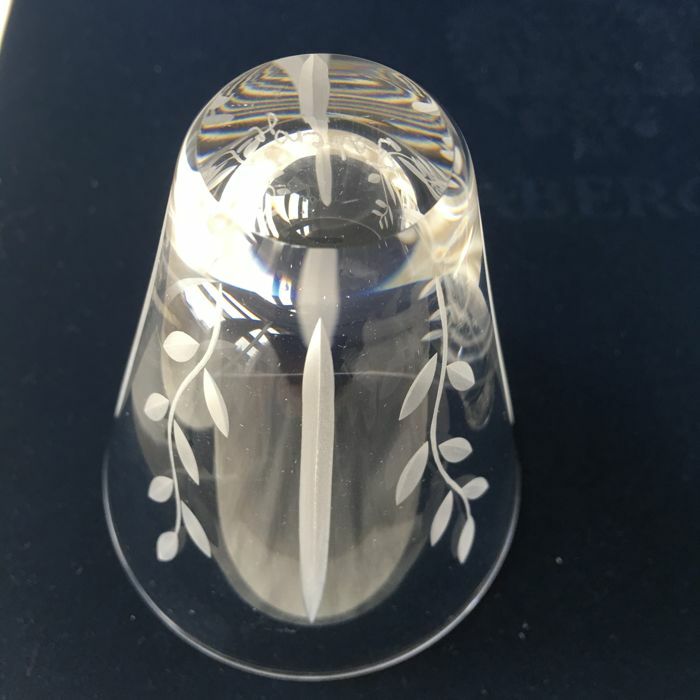 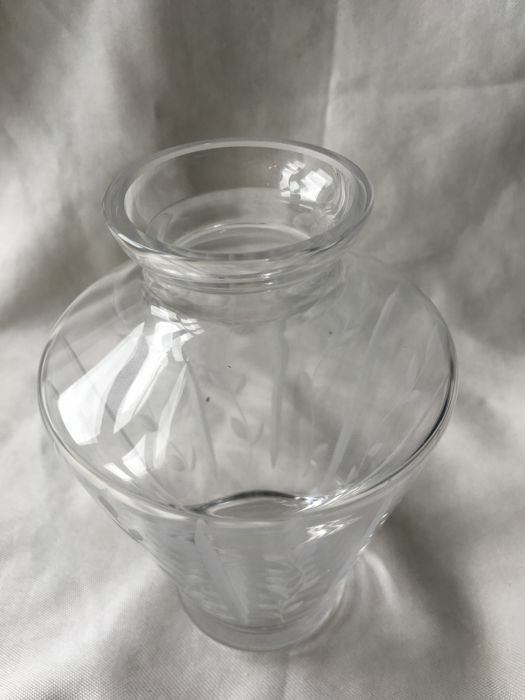 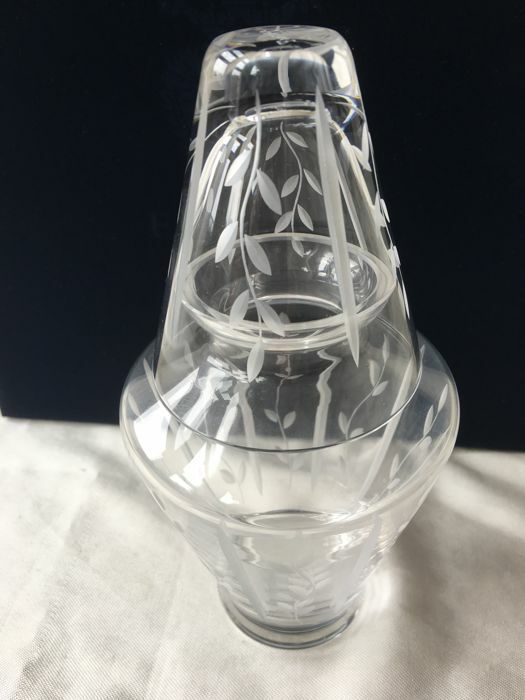 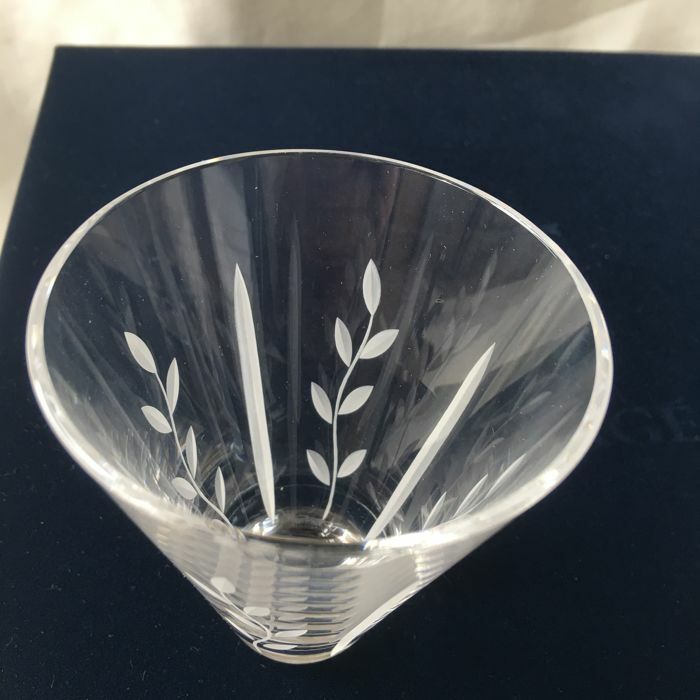 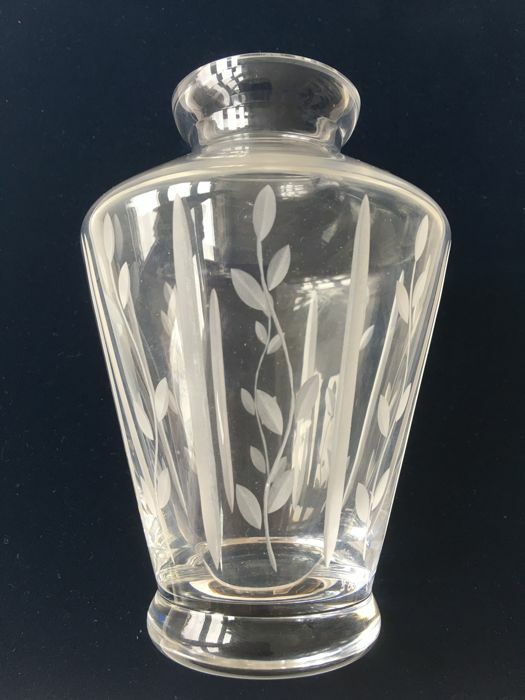 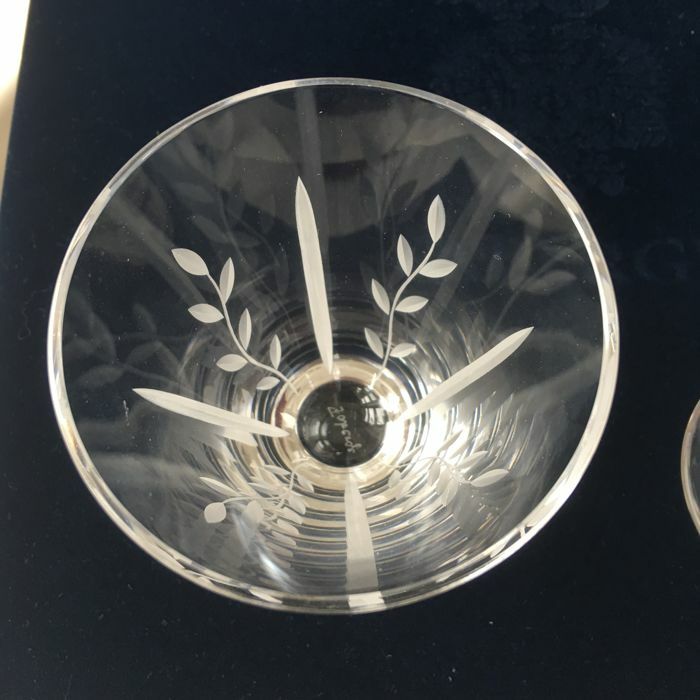 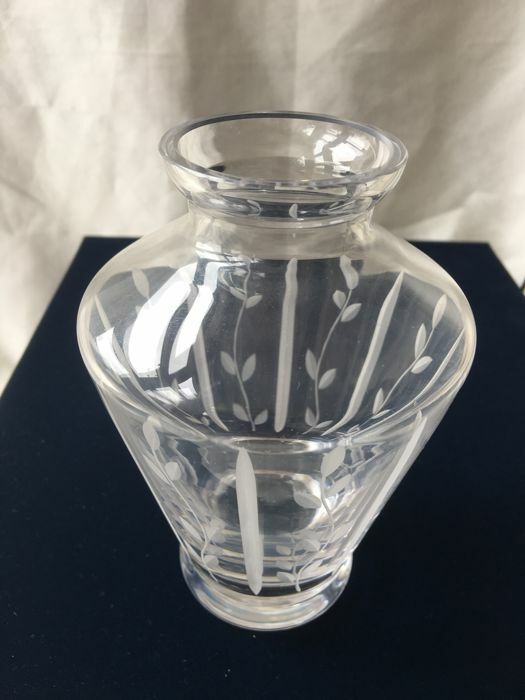 A beautiful hand cut and frosted carafe set from Faberge in the Anatole pattern. 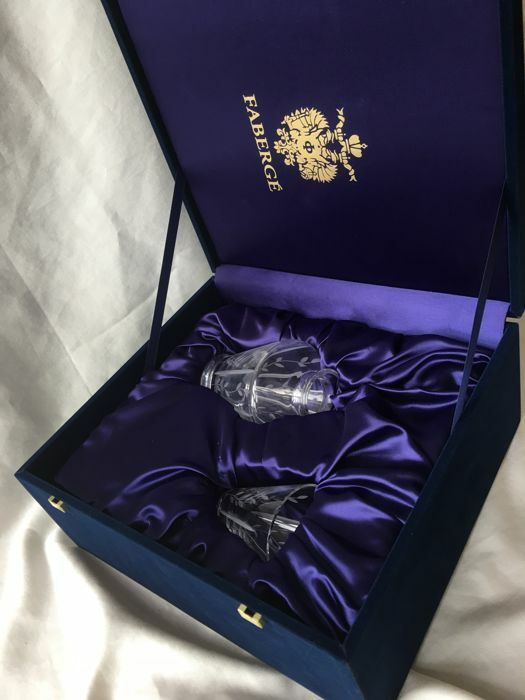 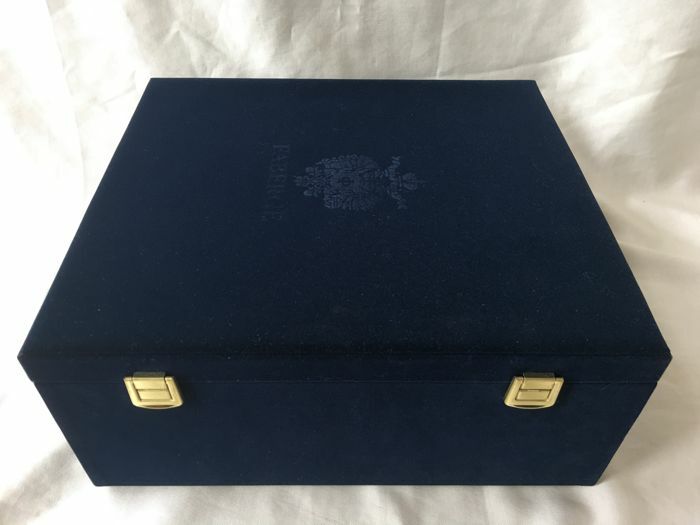 This set comes in the original Faberge navy velvet presentation box. 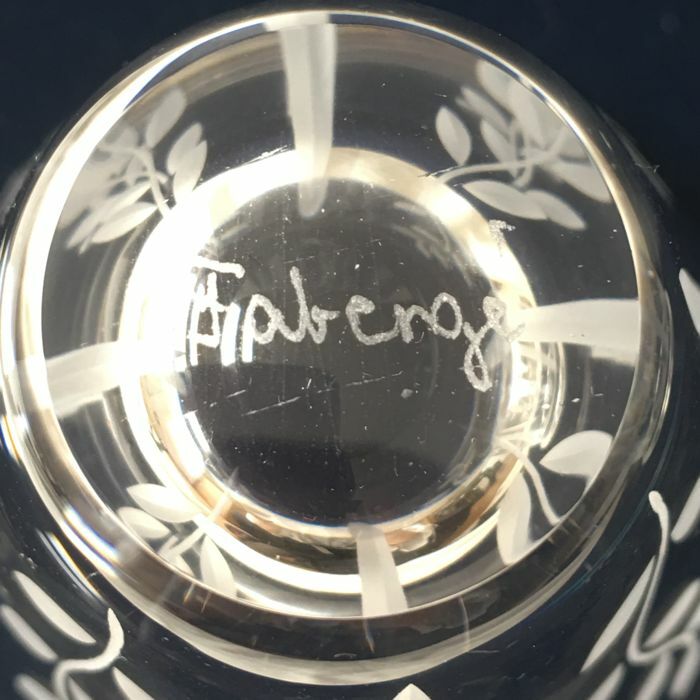 Cup is hand etched with Faberge on bottom while the carafe is signed along the base. 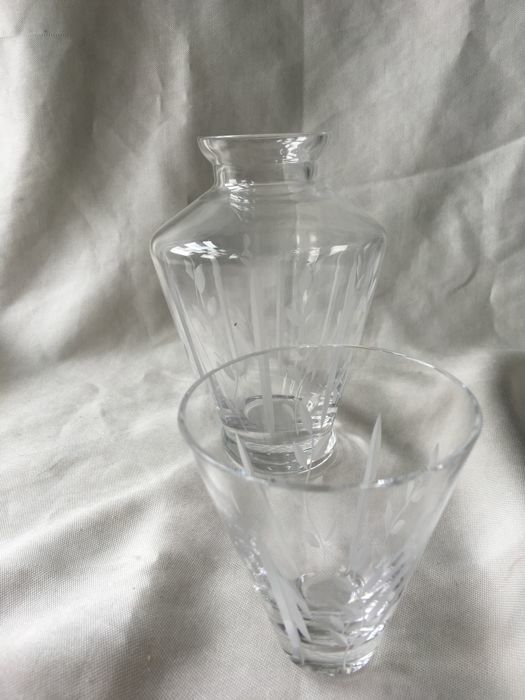 The carafe meausres 3 3/4" wide and 5 3/4" high. 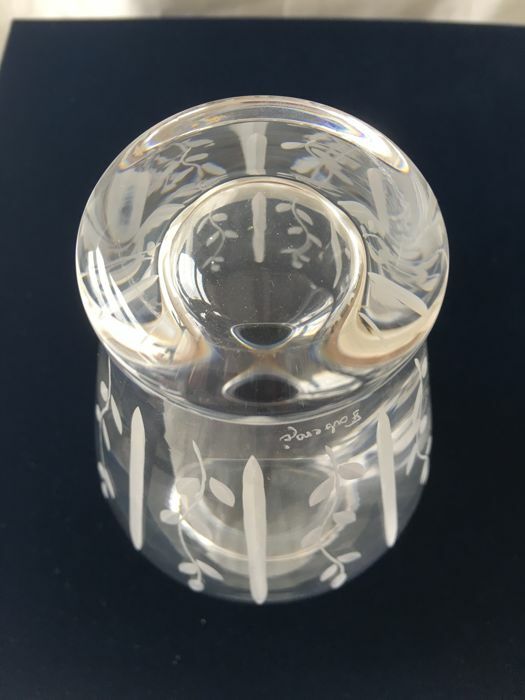 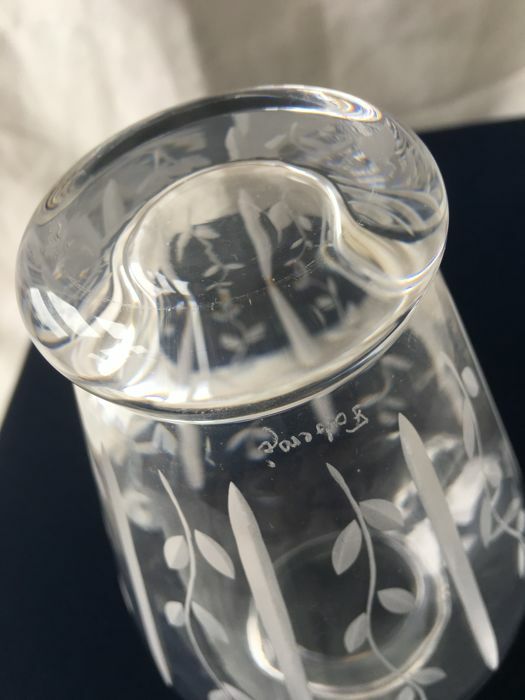 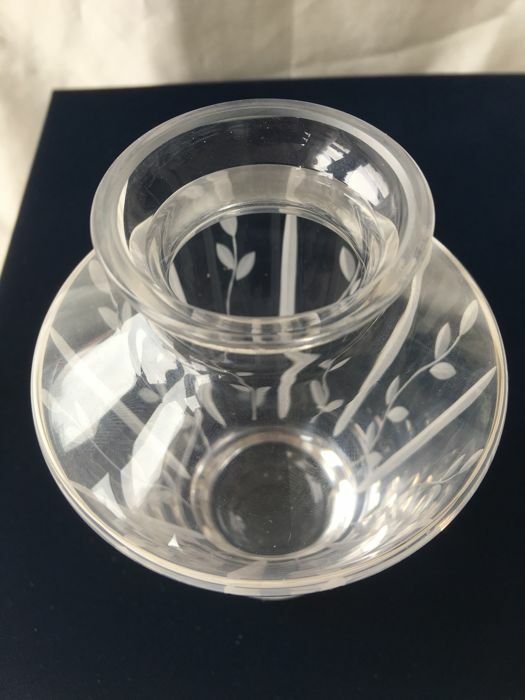 The cup measures 2 7/8" wide and 3 1/4" high.